It’s the season for love, and we all strive to get love from our customers. One way to gain trust and loyalty is to provide an incredible, relevant and personalised experience for our customers when they interact with the brand. But how ready are we to use AI to scale personalisation and how ready are the customer for the personalised experience? 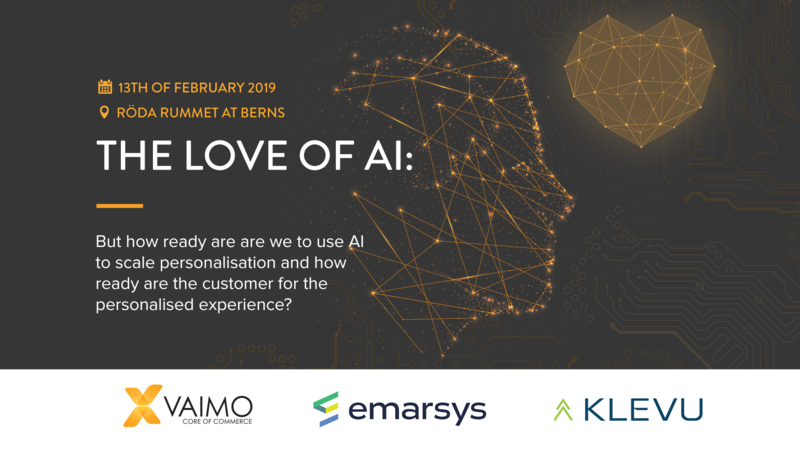 Vaimo, Klevu and Emarsys are inviting you and a handful of other eCommerce experts to an evening at Berns to share experiences of personalisation and get insights from the experts of eCommerce strategy, search and marketing.